On Wednesday nights our ballroom turns into a steamy Latin nightclub. 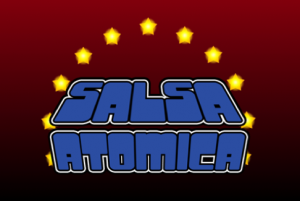 Shake it to the sounds of Salsa, Merengue, Cumbia, and Bachata and spice up your week! Group classes on Wednesdays are great for beginning or advanced dancers, and include a mix of LA-style salsa, Bachata, Cumbia and more. Learn the latest moves and gear up for a night at the club. Shakira was right - the hips don’t lie. Bring your hips to life with our fantastic Salsa night. We frequently host live Salsa music and the hottest LA Salsa bands, so don’t forget to check our calendar for upcoming events. With performance teams, hot dancing, and the latest music, Wednesday nights are the perfect mid-week party. $7 (includes admission to the Tango Practica). $13 when there is live music or just $6 if taking a class.